There are few other vehicles on the roads today that are as immediately recognizable as a Range Rover. Breathtaking luxury, stop-and-stare styling, and unsurpassed capability combine to create the perfect adventure vehicle — one that’s equipped to go from the concrete jungle of the city to the lush foliage of the wilderness without missing a beat. Better experiences await around every corner for those who are bold enough to get behind the wheel and seek them. 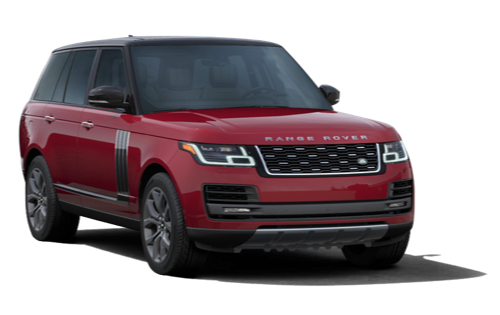 If you’re looking for a used Range Rover near Mississauga, visit the Land Rover dealership that’s as incredible as the vehicles we sell. Welcome to Land Rover Toronto. Your journey begins in our inventory, where we’re proud to offer a stunning selection of Range Rover models, as well as a white-glove level of service that can’t be matched by any other dealership. From the moment you arrive and experience our valet service, to the next when you’re enjoying the amenities of our five on-site cafes, to the moment you drive your quality used Range Rover off the lot, you’ll discover a dedication to customer satisfaction that sets us apart. Visit us today at 777 Dundas Street E in Toronto, ON, or call us at 416-530-1880. Live Grand. We always strive to provide a Land Rover Toronto dealership experience that goes beyond your expectations. Put your Range Rover through its paces with an at-home test drive. Every new and used Range Rover from our store near Mississauga was designed to provide an intelligent, fully immersive driving experience, no matter where your road takes you. A wealth of information is available at your fingertips, thanks to Touch Pro Duo, an in-car system that takes infotainment to the next level. Integrate your smartphone and keep everything that matters to you close at hand. Receive traffic and weather updates in your local area, customize a playlist for every trip, and communicate with ease, all while keeping your hands at 10 and 2, and your eyes on the road. With a wide range of sumptuous seating options, the interior of the Range Rover is a nice place to be. Choose from available 20-way heated front seats, or the indulgent luxury of available 24-way “hot stone” massage seats. Second-row passengers will have plenty of space to stretch out with available rear Executive Class seating or 60/40 split-fold bench seating. Premium materials throughout complete the exceptional craftsmanship of the vehicle, and seem to promise incredible times on the road ahead. Get there in style with a pre-owned Range Rover. The Range Rover was designed to make every aspect of driving more convenient. Safe and smooth entry and exit are as easy as taking a step, thanks to Automatic Access Height. When activated, this system lowers the vehicle by 50 mm using the electronic air suspension, making access to the interior easier than ever before. And the innovation doesn’t stop there, either. Intelligent storage solutions throughout the cabin provide a convenient resting place for all of your belongings. Go ahead, bring everything along for the ride in the Range Rover. The Range Rover may be luxurious from bumper to bumper, but its opulence is well-matched by its capability. Terrain Response 2 lets your Range Rover seamlessly adapt to challenging conditions by adjusting the engine, transmission, differentials, and chassis. Mississauga drivers can choose from Dynamic, Eco, Comfort, Grass/Gravel/Snow, Mud and Ruts, Sand, and Rock Crawl modes for the optimal experience on any road. All-Terrain Progress Control takes the guesswork out of navigating difficult territory by allowing you to set a steady speed and focus solely on steering. Take your adventures farther than ever before in the Range Rover. After a not very pleasant experience, Alec and Raaj made sure our purchase and experience there was excellent. Alec is one of the most knowledgeable people not only regarding land rover but all the brands and his information and knowledge helped us choosing the right car. We definitely recommend this dealership specially Alec if you’re looking to purchase a car. Thank you Raaj and Alec for making our purchase so smooth and great.